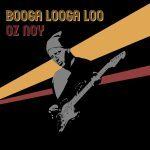 Oz is available to record guitar tracks for musicians and producers all over the world. He can also arrange and produce tracks in his state-of-the art home studio in New York City. Click here to tell him about your project and Oz will follow up with you. Oz is available for private guitar lessons at his New York City studio, or by Skype. Oz works with guitarists of all ages, but requests that students be “intermediate” or better in terms of their current development. Click here to inquire about lessons with Oz.